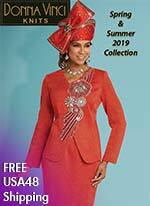 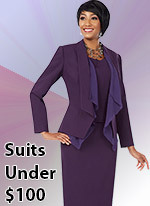 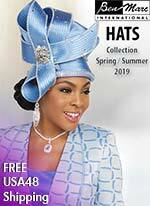 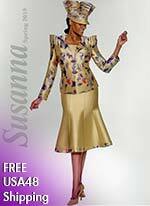 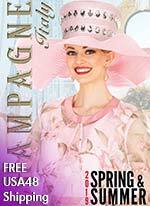 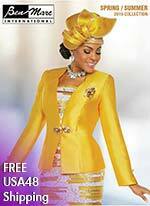 We Sell Women's Suits and Hats, Dresses, Church, Career, Evening - Men's and Ladies Suits. 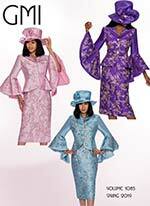 Womens Church Suits with Matching Hats! 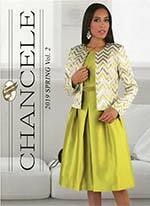 Dress - Jacket - Cami - Skirts - Pants - Separates - Suits! 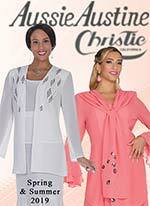 Church - Casual - Business - Career - Special Occasion - Formal Styles! 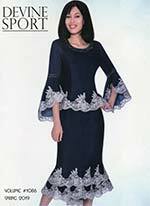 ExpressURWay.com has a huge selection of Women's Suit Designer Collections and offer styles ranging from Traditional to Eye Catching at Discount Pricing. 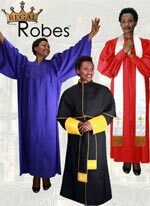 We also sell Usher Suits and Clergy Robes, Choir and Ensemble Styles in any number group from small to large, in a broad range of sizes and colors - most styles are available year round. 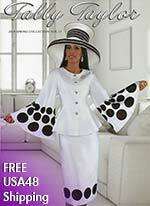 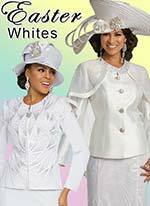 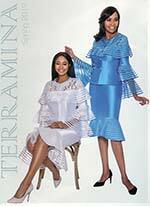 Whether you are looking for a Traditional White or Black Women's Suit for your Worship Group, or a Colorful Contemporary Gospel Ensemble Styling - Discounts for group purchases on Usher Suits and Choir Dresses are available. 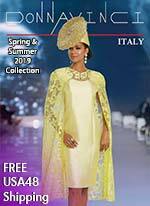 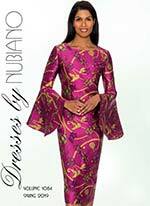 For Special Occasions our collections of Evening Wear / Formal / and Mother of the Bride can create the "Make an Entrance" look that will surely make you stand out. 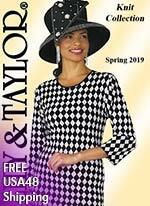 One Piece, Two Piece, or Three Piece Suit in either Dress / Pant / Skirt styles in Business Professional, Dress Casual Attire, or an Executive Styling - many of our designers offer cuts and styling details that either match - or set the tone for your Career Wear presentation. 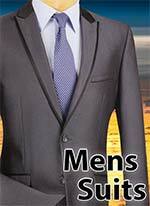 We also carry Men's Fashion Suits, Walking Suits, Mens Casual Wear, Tuxedos and Mens Business Suits to dress a gentleman in style! 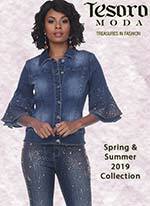 Many of our Designer Styles feature Premium Fabrics like Microfiber, Peach Skin, Georgette, Brocades, Crepe, Linen, Specialty Denim and other quality textile weaves. 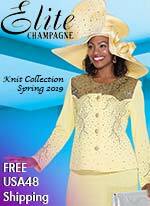 God has blessed us with amazing growth over the years, and we are thankful to be able to offer the best styles from over 100 clothing designers and manufacturers, so that you, our customer, can have the best selection possible on the web! 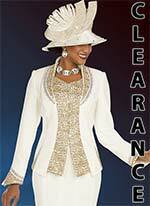 Expressurway is one stop shopping for all your needs. 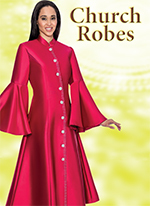 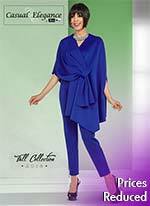 Our top of the line styles in church and business suits, top quality women's dresses, wardrober sets, ladies church suits, and accessories include something for ladies of all sizes. 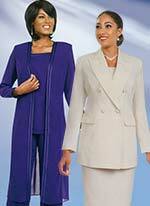 "The Finest In Women's Fashions"